These terms and conditions outline the rules and regulations for the use of Suzanne Dinter Hypnosis Coaching’s website. By accessing this website we assume you accept these terms and conditions in full. 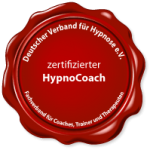 Do not continue to use Suzanne Dinter Hypnosis Coaching’s website if you do not accept all of the terms and conditions stated on this page. of Germany. Any use of the above terminology or other words in the singular, plural, capitalisation and/or he/she or they, are taken as interchangeable and therefore as referring to same. pages from https://suzannedinter.com for your own personal use subject to restrictions set in these terms and conditions. Redistribute content from Suzanne Dinter Hypnosis Coaching (unless the content is specifically made for redistribution). you must notify us by sending an e-mail to admin at suzannedinter.com. and a list of the URL(s) on our site to which you would like to link. Please allow 2-3 weeks for a response.